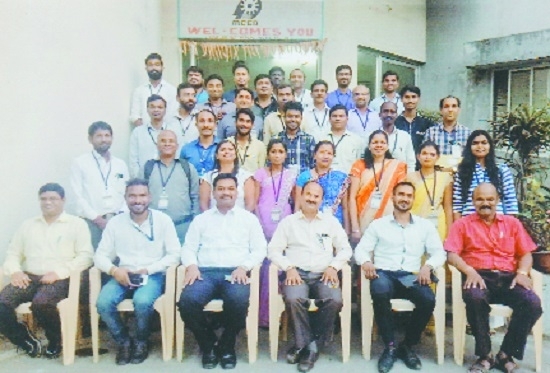 MAHARASHTRA Centre For Entrepreneurship Development (MCED) in association with Dr Babasaheb Ambedkar Research and Training Institute (BARTI) organised a one month entrepreneurship development programme (EDP) at MCED Hingna Centre. The workshop covered topics like food and fruits processing, cottage industry, poultry, farm based business, market survey, selection of business, preparation of project report for loan, start-up, Stand-up, Government loan schemes, personality development, digital marketing, import and export etc. Dinesh Baria, Project Officer and Rashtrapal Dongre, District Co-ordinator of BARTI guided the participants. Both called upon the participants to set up their own units and be job givers and not job seekers. Rahul Gaikwad, Project Officer, BARTI, Alok Mishra, Divisional Officer of MCED, Badal Shreerame, Project Co-ordinator, Samata Paratishthan, Pradeep Ingle, Centre Head, Gajanan Wankar, Sandeep Mohite of MCED were prominently present at the validictory function. The workshop received overwhelming response from the participants. The participants gained knowledge in the workshop. During the valedictory function, they expressed confidence that they would start their own business with the help of the experts and MCED officials. Pankaj Mane, Project Director, BARTI and officers of MCED and BARTI worked hard for the success of the event.